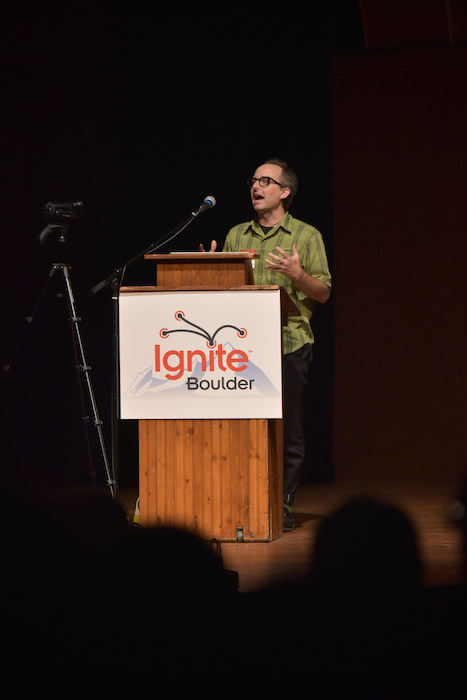 Blog | Ignite Boulder | Enlighten us quickly. Short 5 minute talks about geeky passions hosted in Boulder, Colorado every few months. Get involved. Ignite Boulder 34 and 35 were sublime as usual. Both sell-outs, both enchanting. Check out photos from the events and experience the talks. 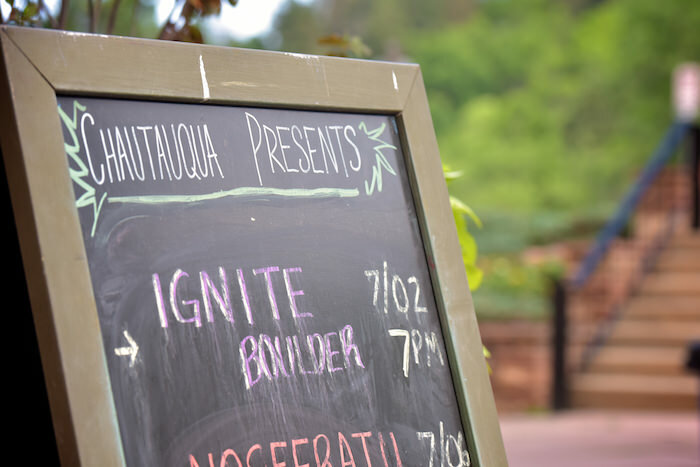 Our 10th year anniversary event, Ignite 36, is happening at Chautauqua this fall. Buy your tickets here before we sell out, or apply to speak at the event here! 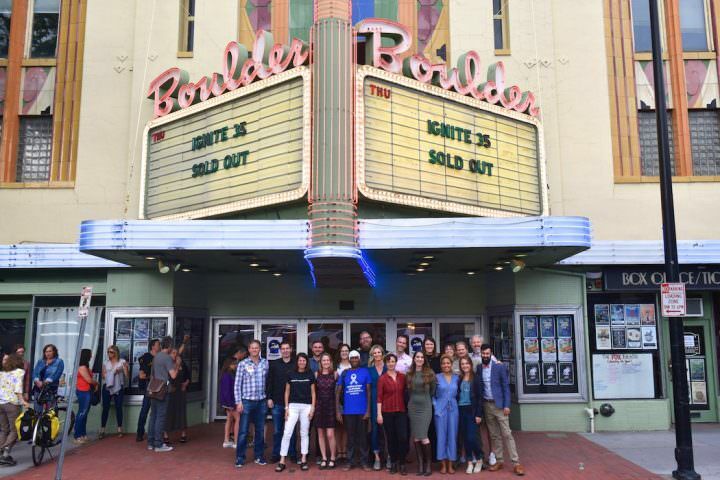 Ignite Boulder 33 was our 33rd consecutive sold-out event, and it sure didn’t disappoint! This was easily one of our best shows ever, with a dozen incredible speakers and an amazing audience at the Boulder Theater. We donated 100 percent of the proceeds from the event to a great local nonprofit: the Boulder Valley Women’s Health Center. 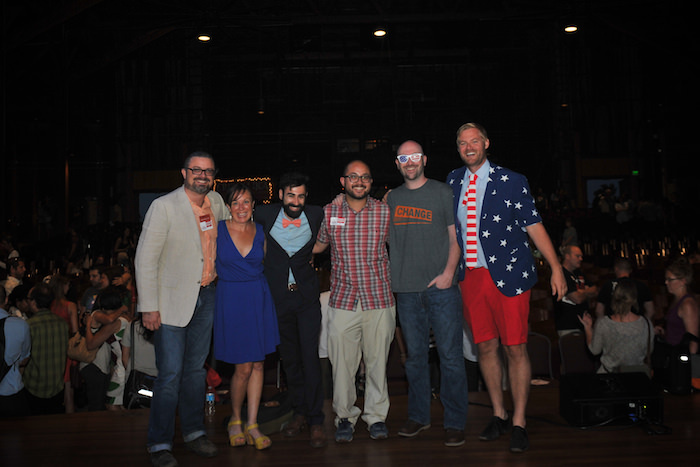 Thanks to local photographer Kit Chalberg for taking pictures of the evening’s festivities — check out the Ignite Boulder 33 photos below and tag yourself and your friends! What a show! 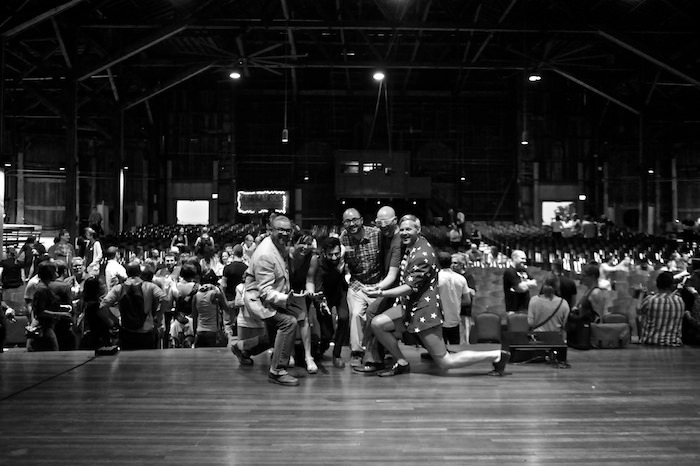 We had a great time through a late May snowstorm to celebrate the story and community that make us whole. The non profit we supported was Humanwire. The link to donate is here. We will post the photos when they are edited. Thanks to Functional Remedies CBD for the help! Ignite Boulder 31 Tickets on Sale November 14th. Show is December 14th. 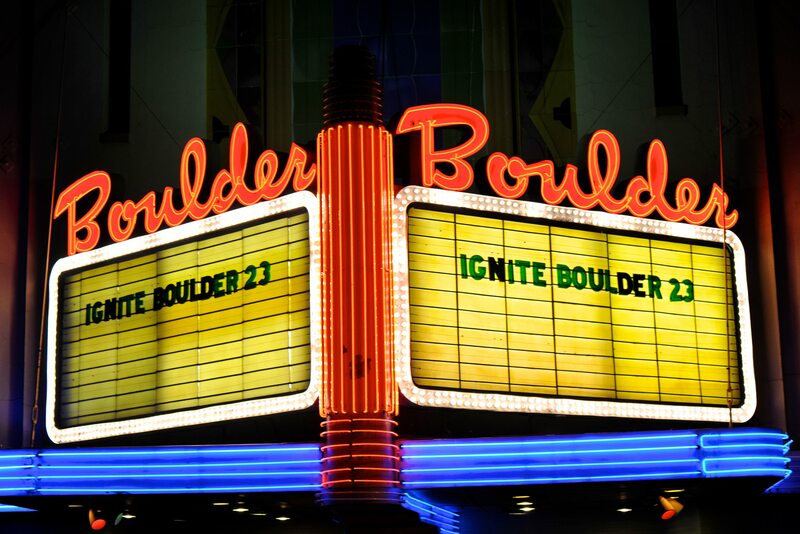 Tickets for Ignite Boulder 31 will be on sale here starting November 14th at 10am MST! Know a non profit we should donate to? Have them fill out this form! We donate all our profits to 501c3! 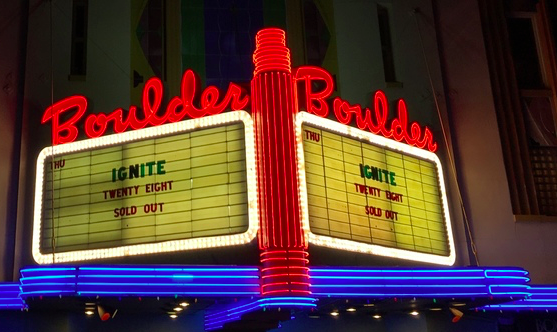 We are both proud to announce that Ignite Boulder 29 has sold out in under a day and sad that we have so many other people that want to join that won’t be able to. 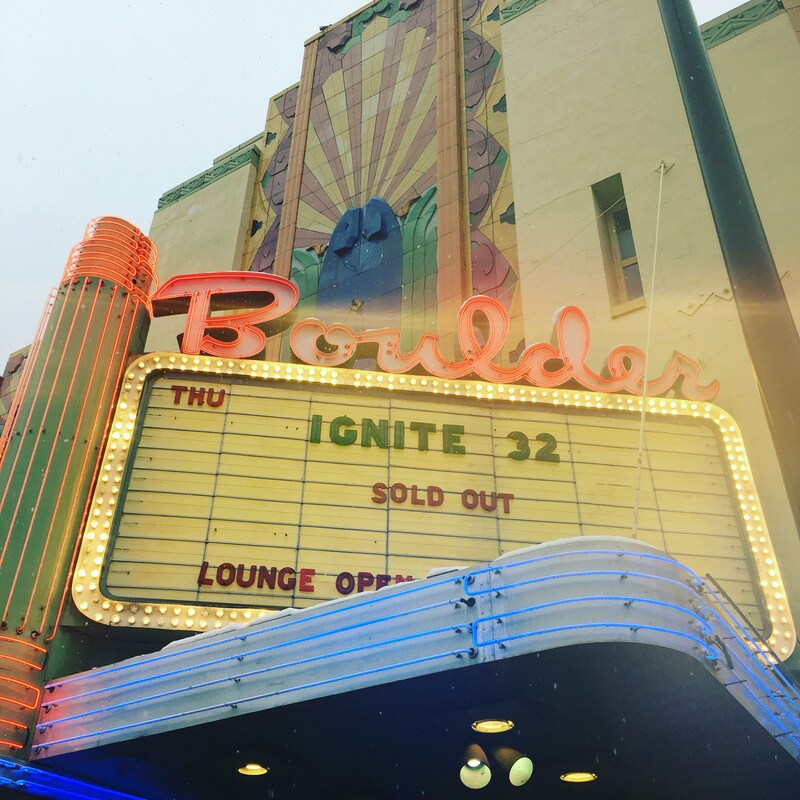 Tickets on Sale for Ignite Boulder 29! We are guessing on a 2-3 day sell out of tickets so grab them while you are thinking about it. Our 28th Ignite Boulder is happening on Thursday! 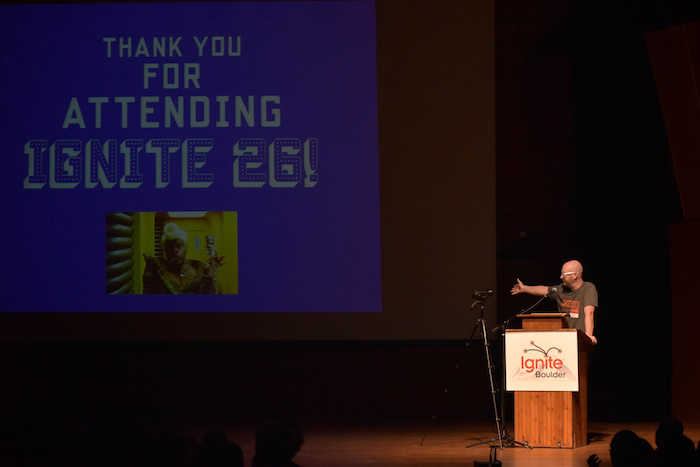 Ignite Boulder #28 will be December 10th!Ignite Boulder #28 will be December 10th! 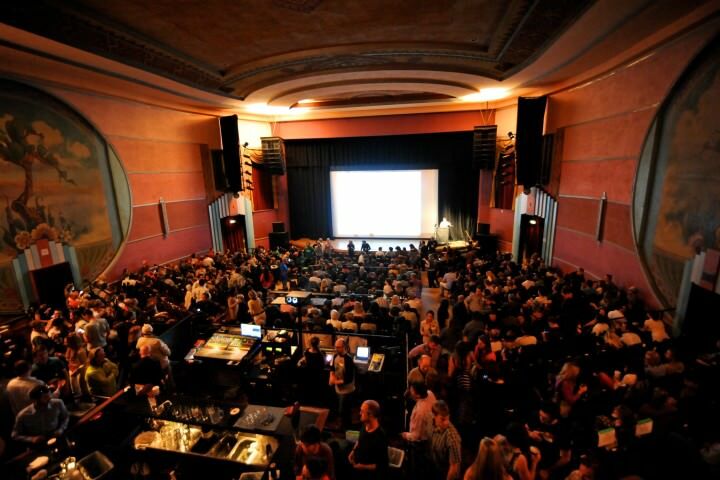 Tickets for the next IgniteBoulder go on sale August 20th 10am MST and are $15.